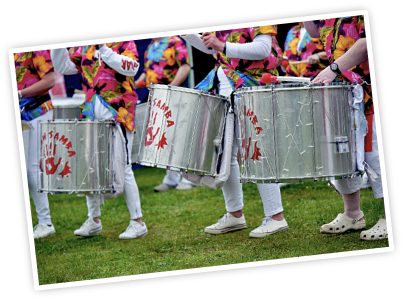 RAW Samba formed in 2001 when the call went out for enthusiastic percussionists – ‘no experience required’. 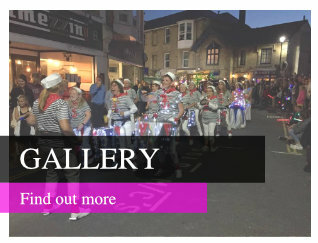 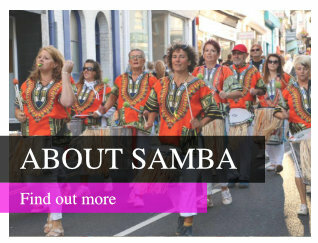 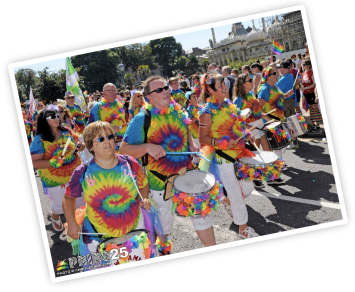 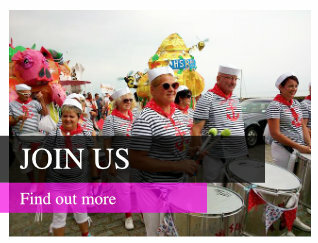 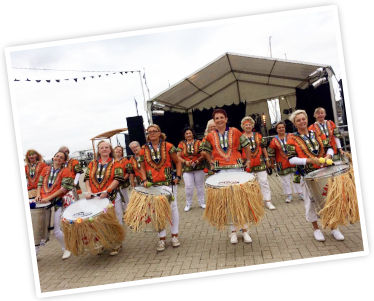 Originally funded through the Ryde Art Works programme, RAW Samba has gone from strength to strength. 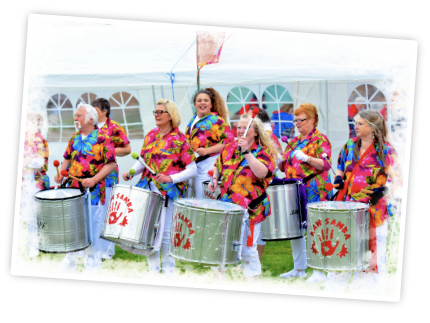 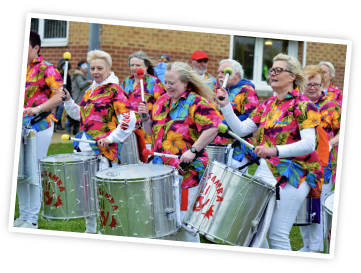 With over 40 members who regularly practise each week, plus our dancers and flag bearer, we bring rhythm, fun and colour to every gig we play at.